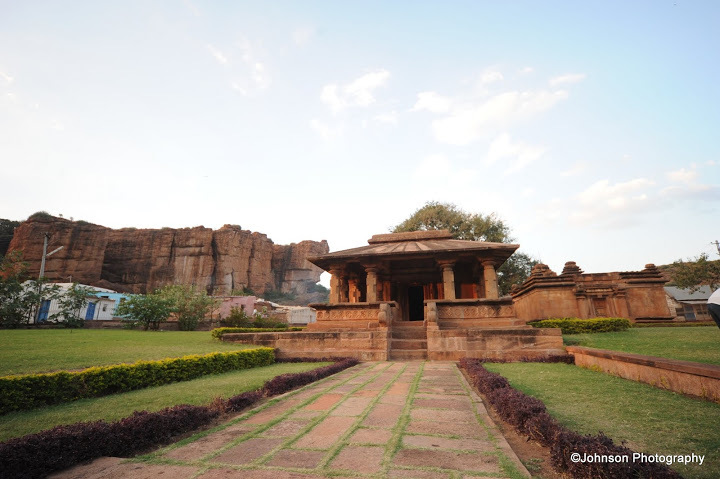 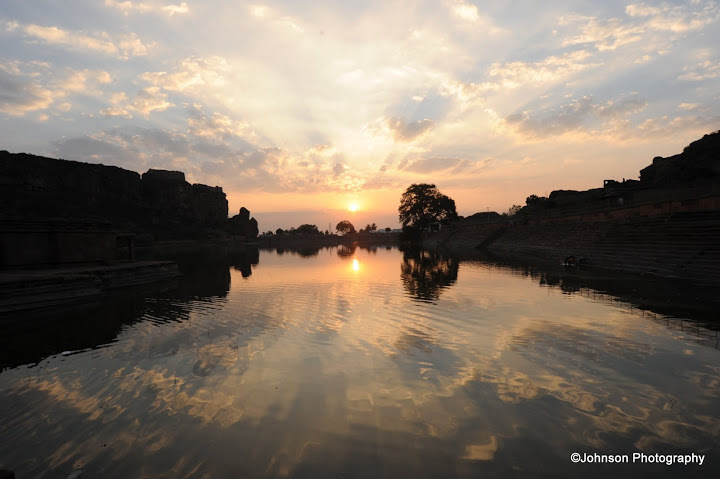 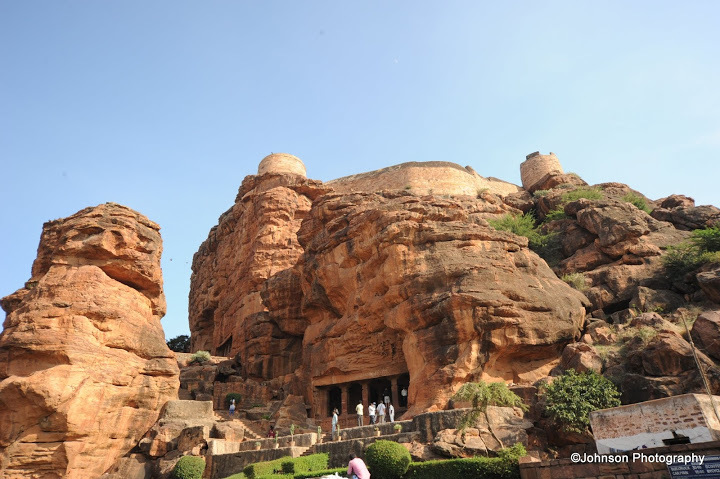 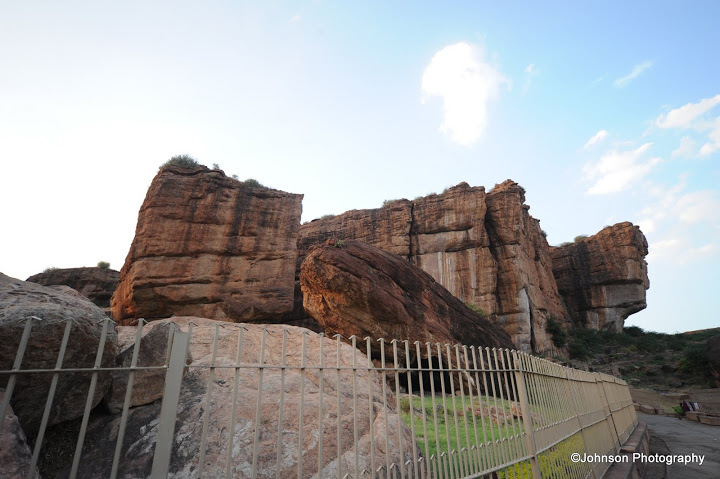 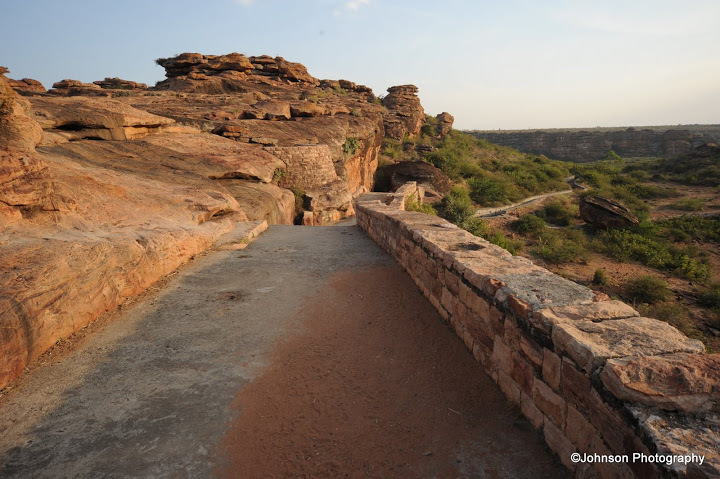 Badami is located in the Bagalkot district of Northern Karnataka. 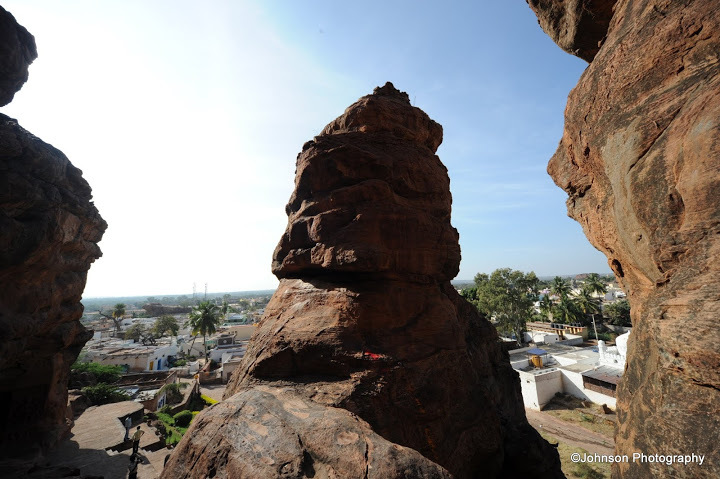 It was the capital of the Chalukyas from 540 AD to 757 AD. 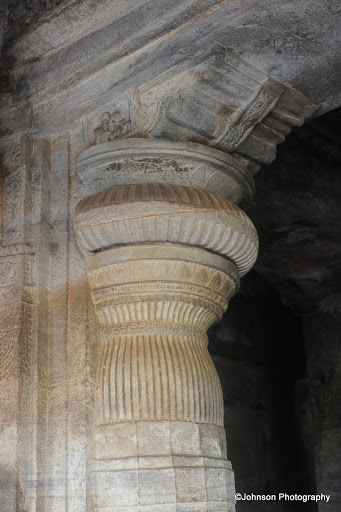 At its height the empire was enormous, stretching from Kanchipuram in Tamil Nadu to the Narmada River in Gujarat. 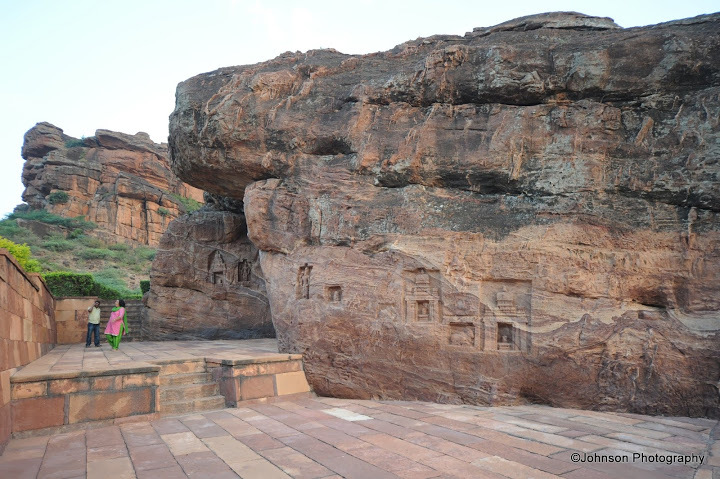 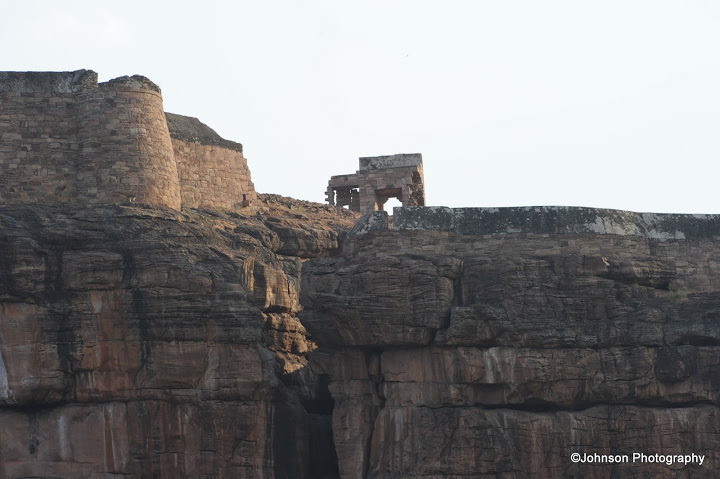 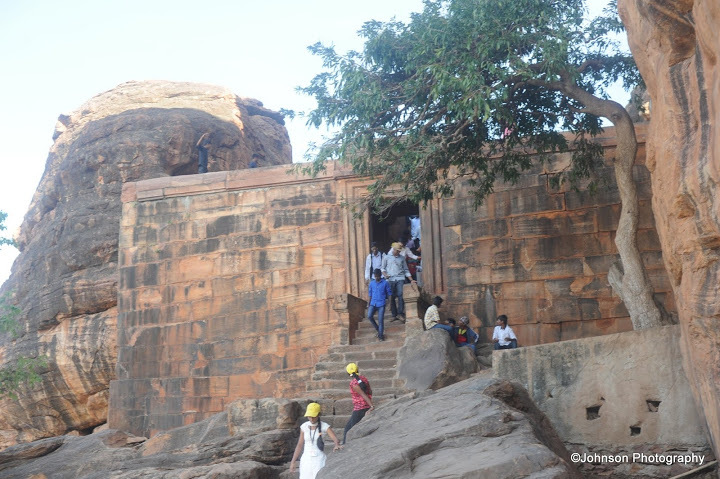 The Badami fort is the most famous attraction in Badami which is spread across two hills dotted with temples, fortifications, carvings and inscriptions dating not from the Chalukyan period, but also from other times when the site was occupied as fortress. 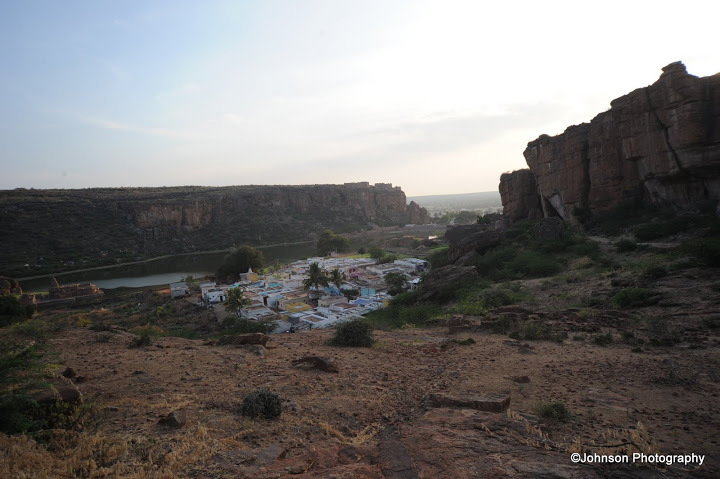 In between these two hills lays Agasthya Tirtha Lake, the waters of which are believed to have healing powers. 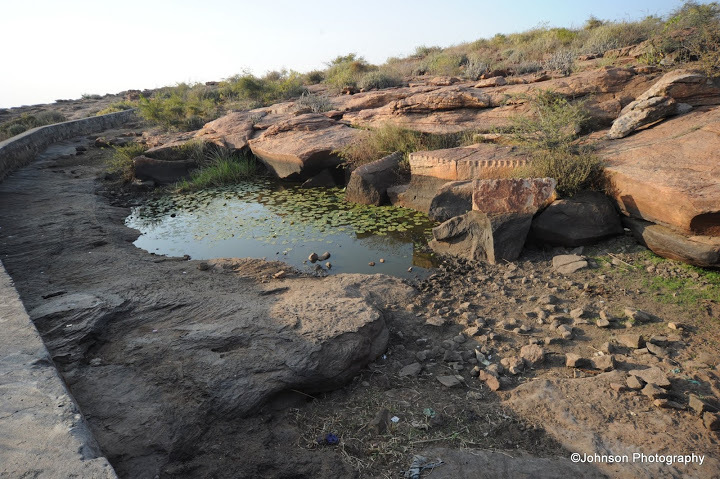 This manmade lake is named after one of the Saptarishis, Agasthya. 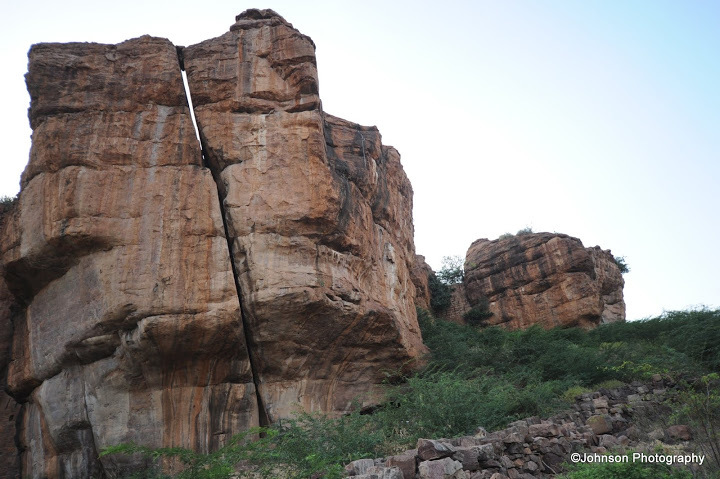 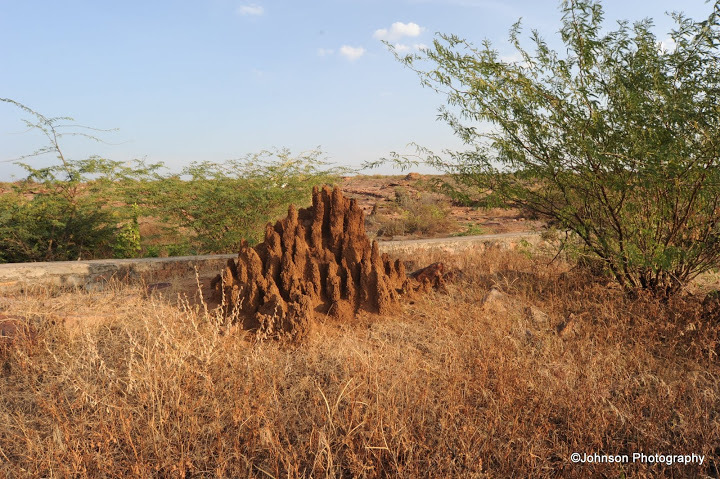 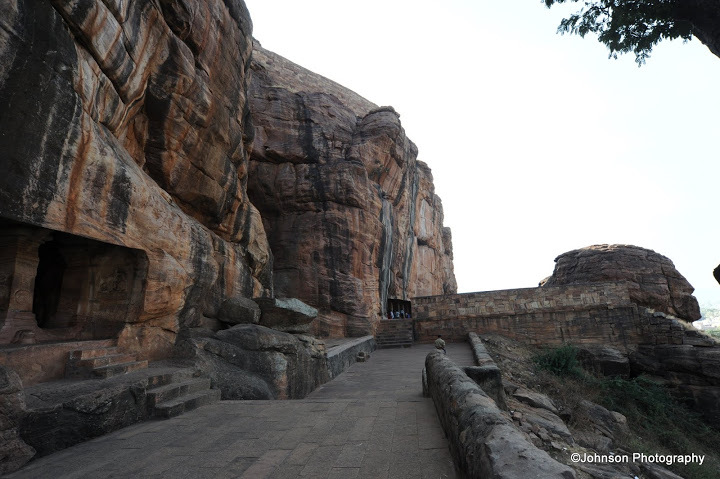 As per legend Badami has origin in the Vatapi legend of Ramayana relating to Sage Agasthya. 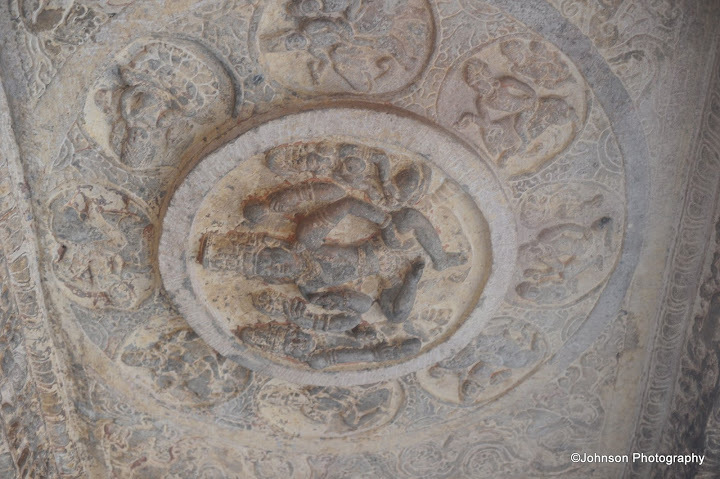 The two demon siblings Vatapi and Ilvala used to kill all mendicants by tricking them in a peculiar way. 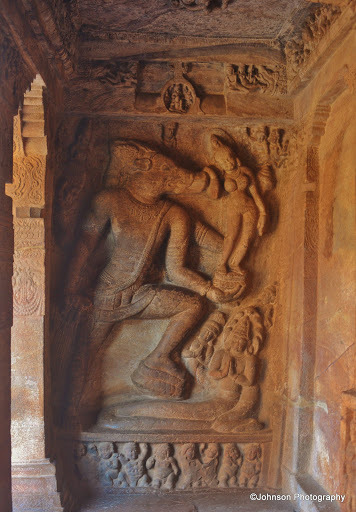 The elder Ilvala would turn Vatapi into a ram and would offer its meat to the guest. 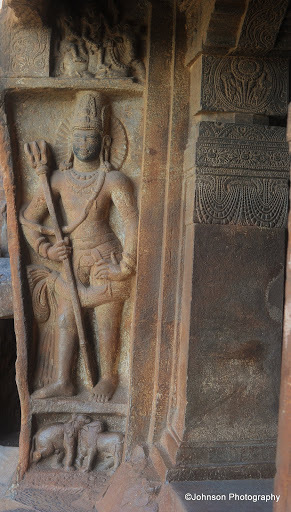 As soon as the person ate the meat, Ilvala would call out the name of Vatapi. 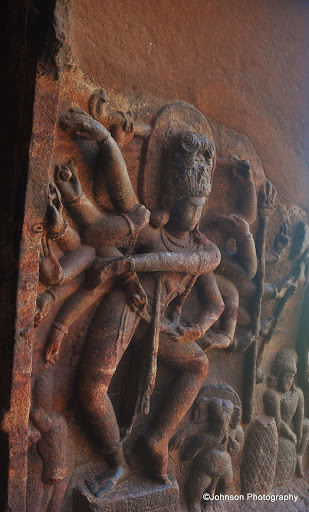 As he had a boon that whomsoever Ilvala calls would return from even the netherland, Vatapi would emerge ripping through the body of the person thus killing him. 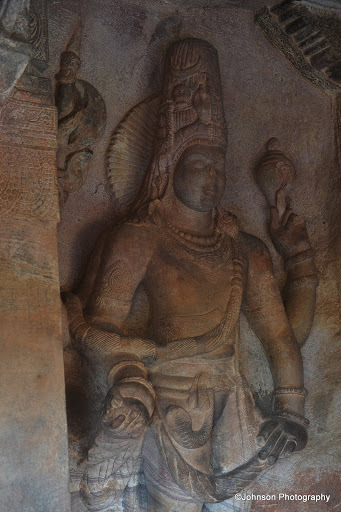 Their trick worked until Sage Agastya countered them by digesting Vatapi before Ilvala could call for him, thus ending the life of Vatapi at the hands of Ilvala. 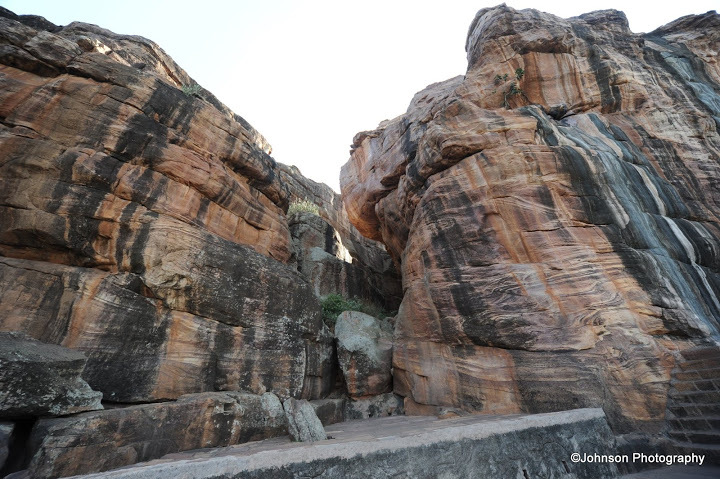 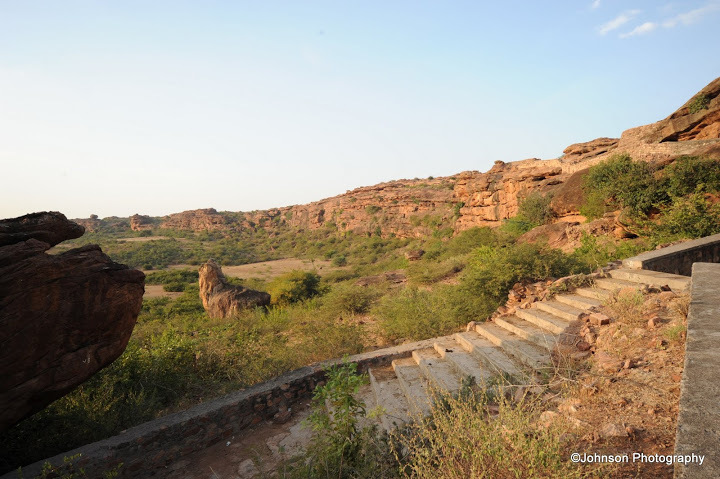 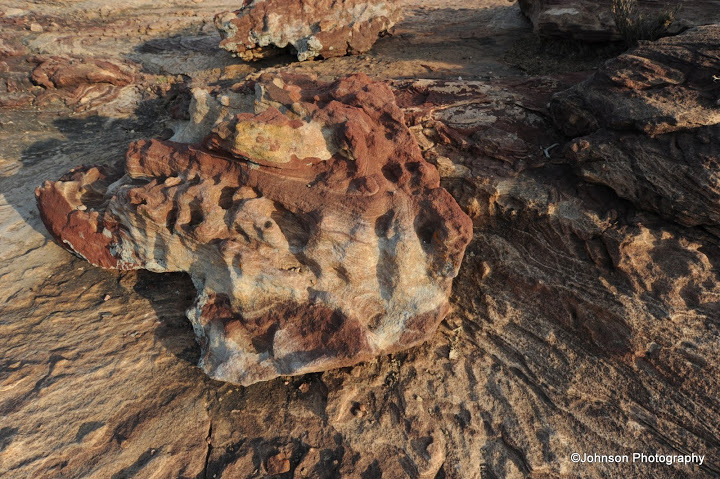 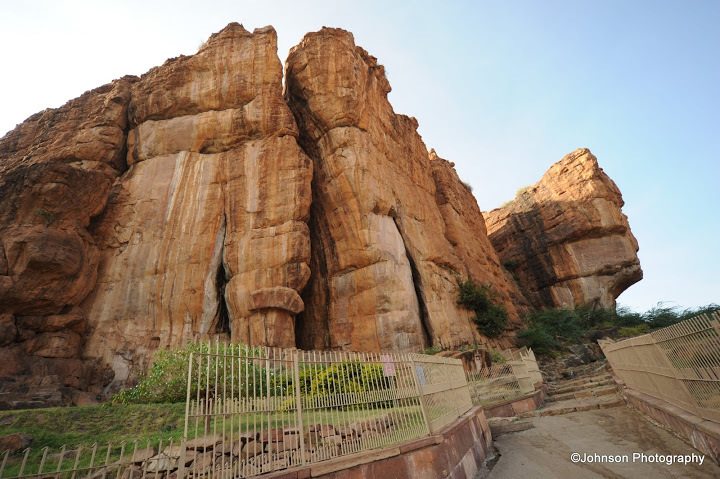 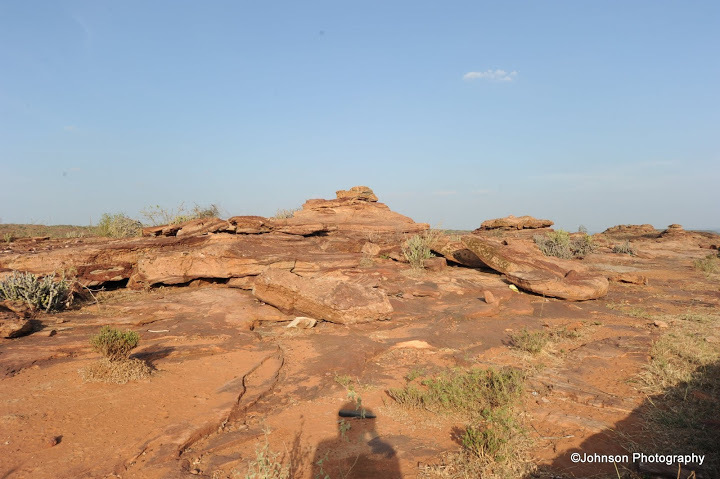 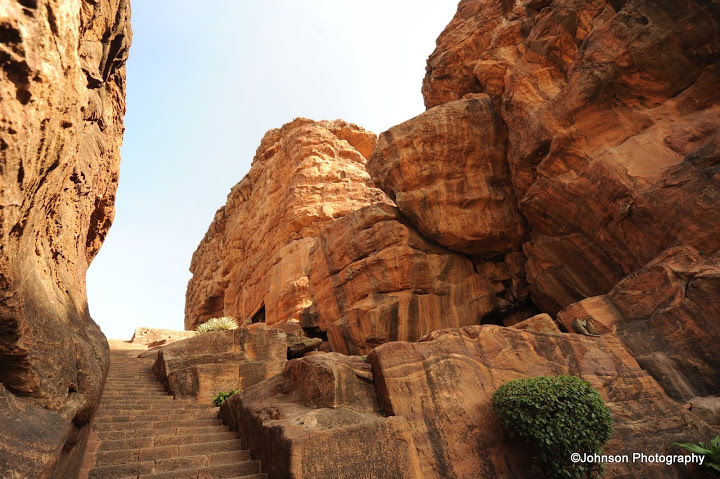 Two of the hills in Badami represent the demon Vatapi and Ilvala. 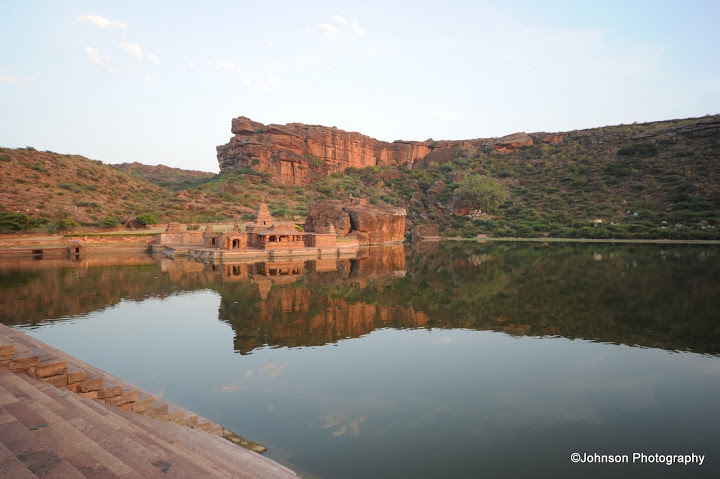 The Bhuthanatha group of temples are located on the east side of the lake and the Mallkarjuna group of temples are located on the north-east side of the lake. 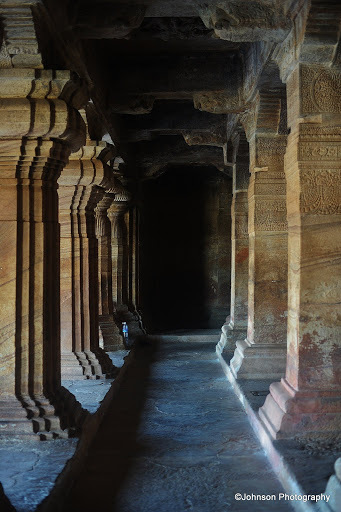 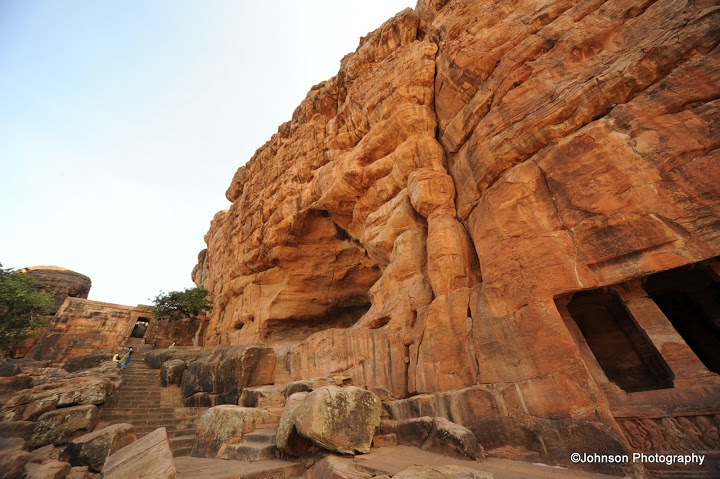 Another major attraction of Badami is the four cave temples carved out of sandstone along the ravine at the foot of the rugged hill surrounding the lake. 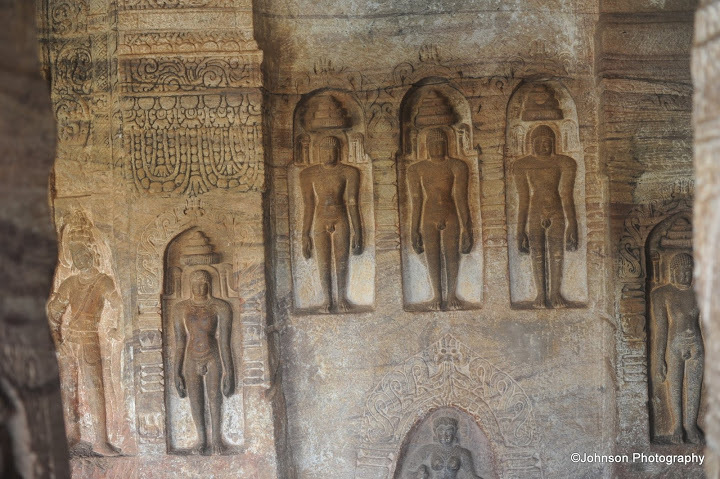 These are considered to be the best examples of Chalukyan architecture. 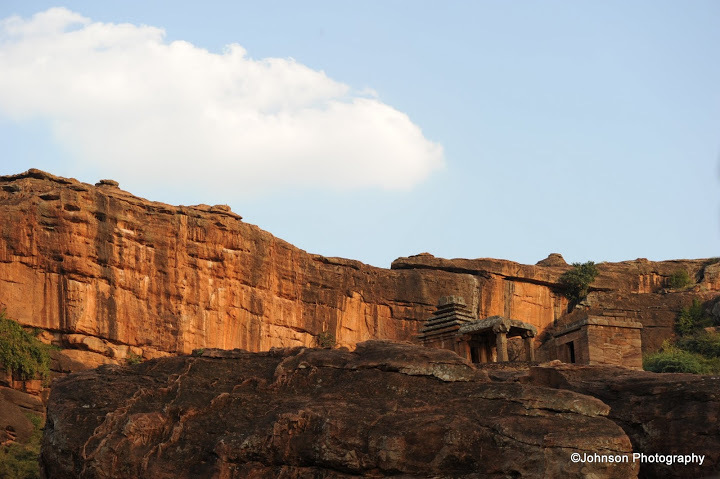 These temples are dated to 6th to 7th centuries AD. 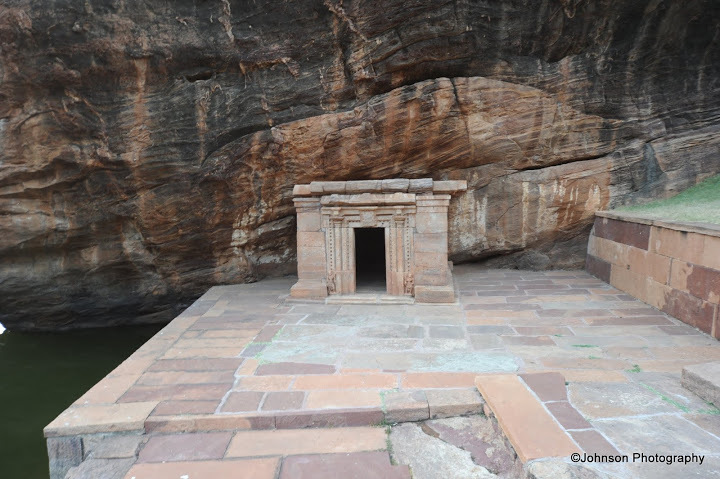 This cave is just above the entrance to the complex, is dedicated to Shiva. 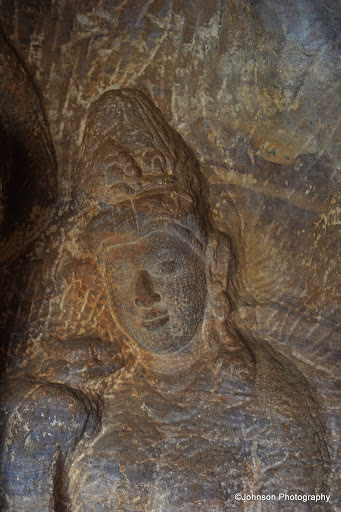 It is the oldest of the four caves, probably carved in the latter half of the 6th century. 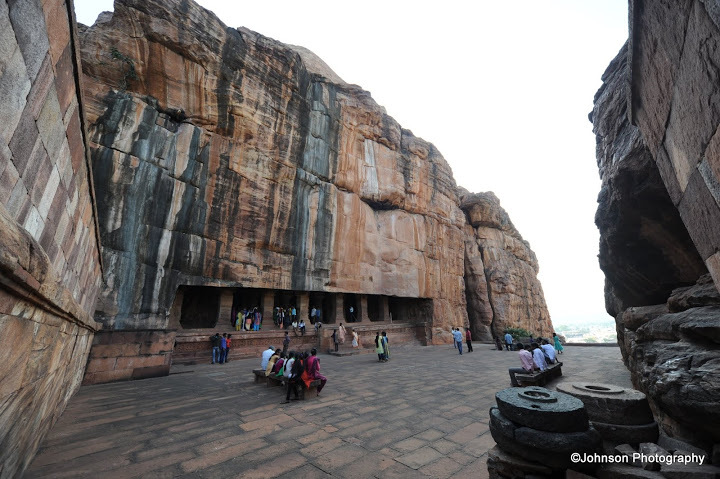 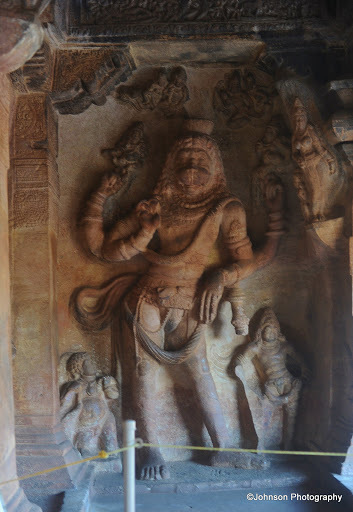 The cave depicts the Thandava dancing of Shiva as Nataraja. 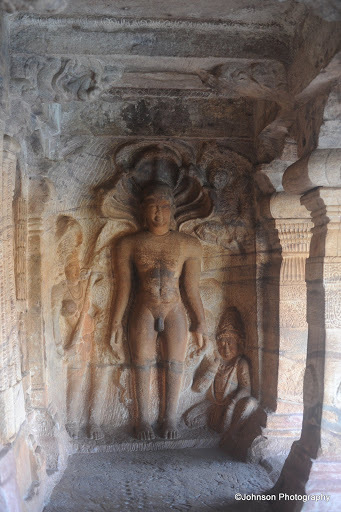 The cave is primarily dedicated to Vishnu and is simpler in design. 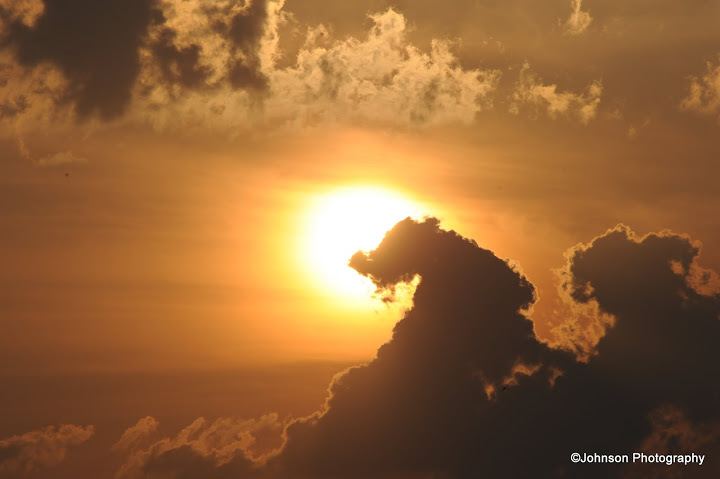 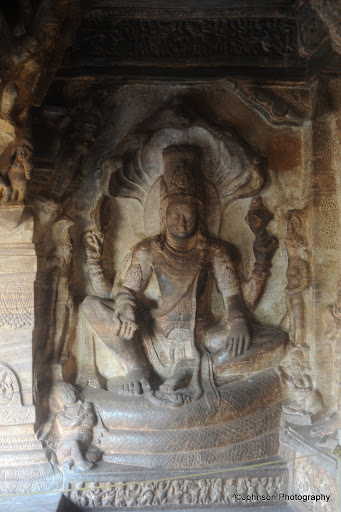 It depicts Vishnu as Trivikrama. 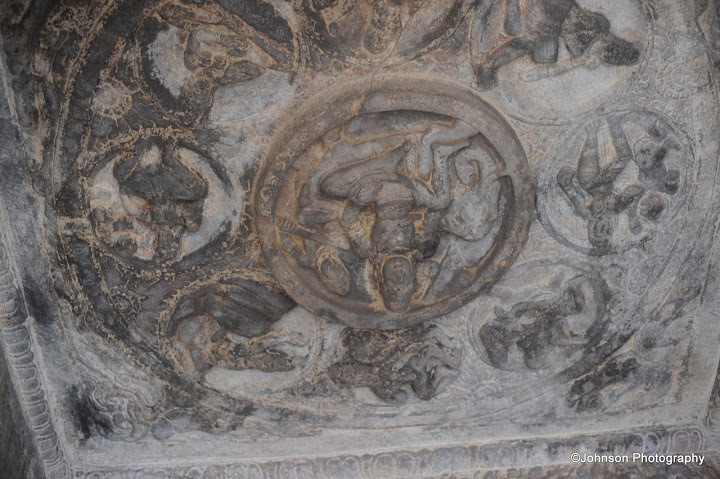 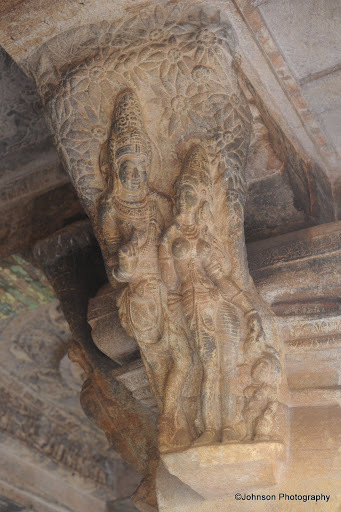 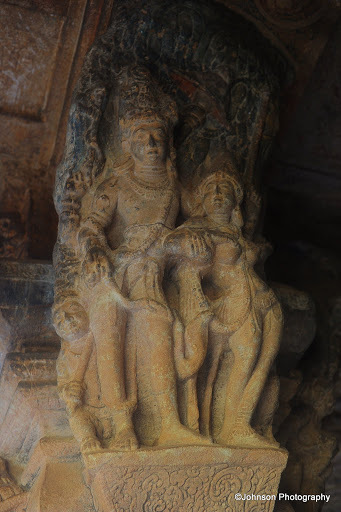 Another depiction of Vishnu as Varaha can also be seen in this cave. 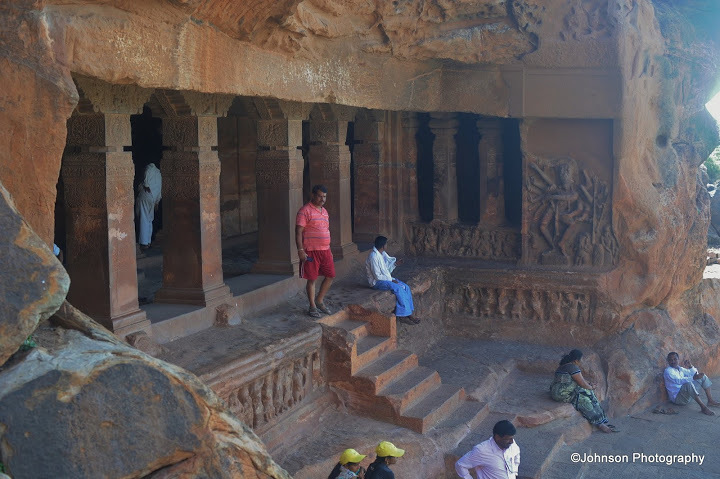 This cave was carved in 578 AD under the orders of Mangalesha, the brother of King Kirtivarma contains some carvings of Vishnu to whom the cave is dedicated. 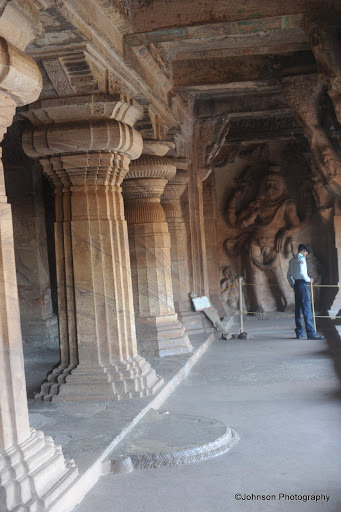 It is the largest and most intricately carved temple in the complex. 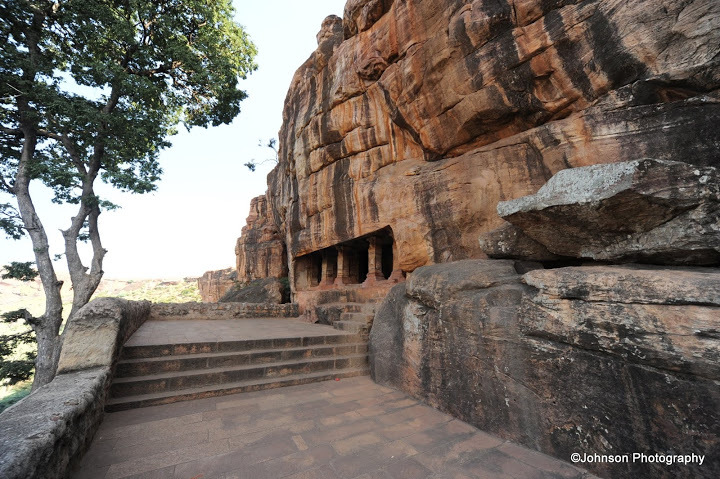 This is the smallest of the four caves and was carved between the 7th and 8th centuries. 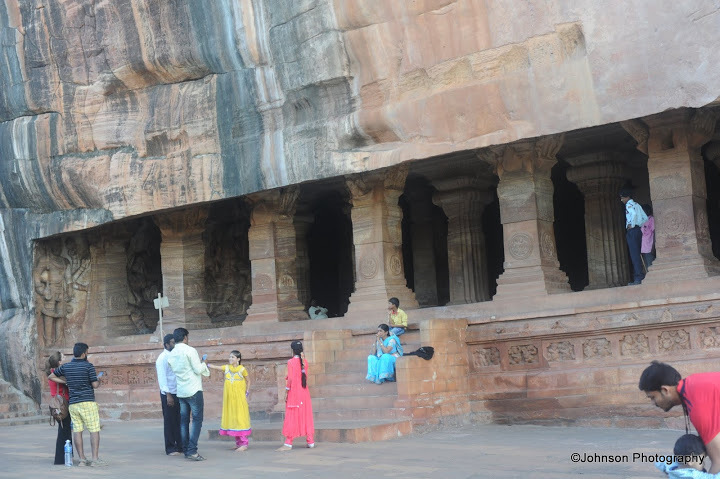 This cave is situated higher than the other caves. 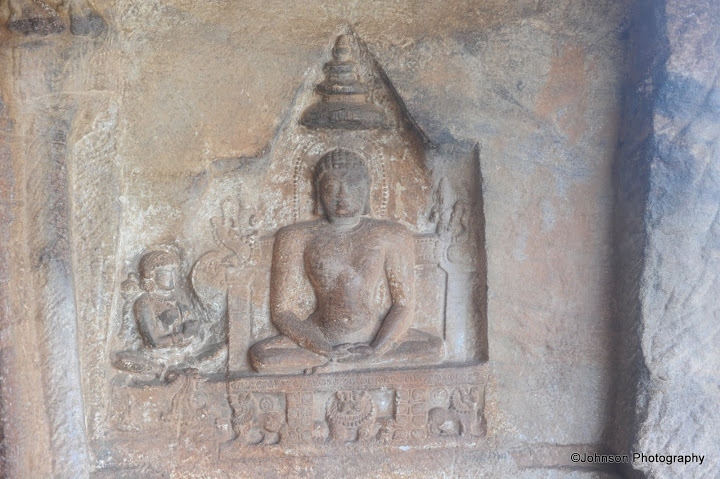 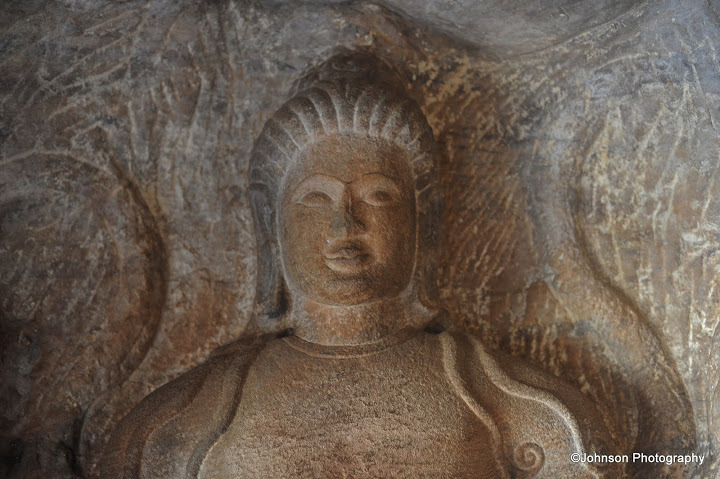 This one is a Jain cave and depicted Mahavira sitting on a lion throne. 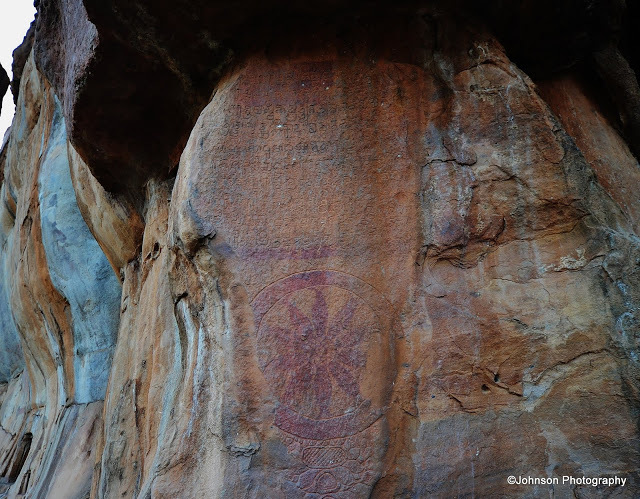 Kappe Arabhatta was a Chalukyan warrior of the 8th century who is known from a Kannada verse inscription of 700 AD, carved on a cliff overlooking the north east end of the Agasthya Tirtha lake. 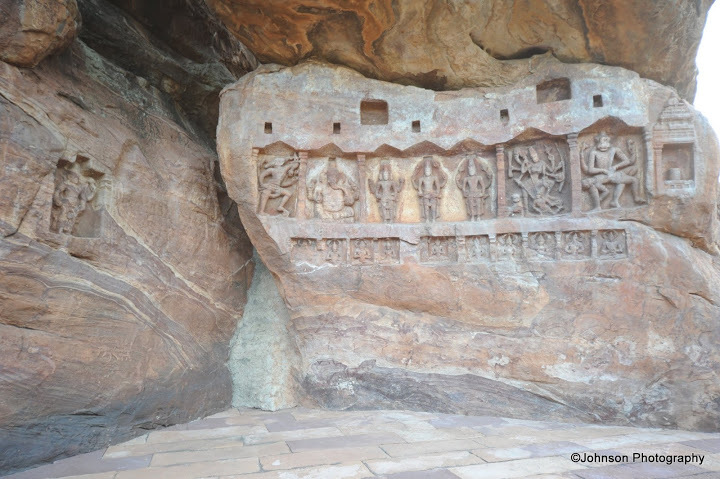 The inscription consists of five stanzas written out in ten lines in the Kannada script. 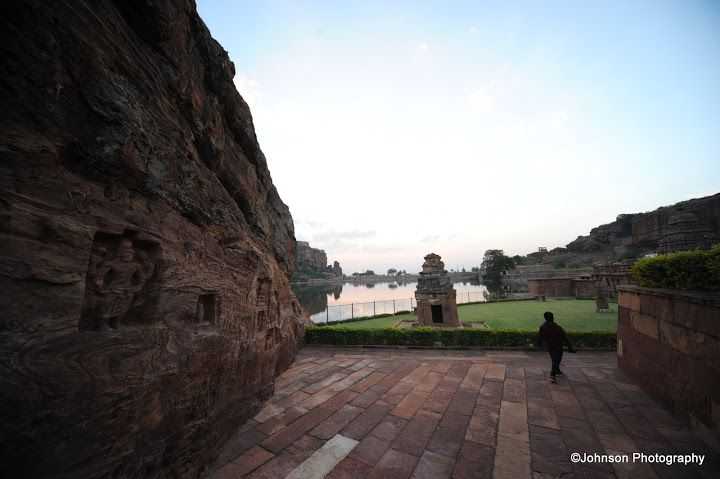 There are enough buses from Hubli to Badami (3hours), Bijapur to Badami (3.5hours) and from Bengaluru (12 hours). 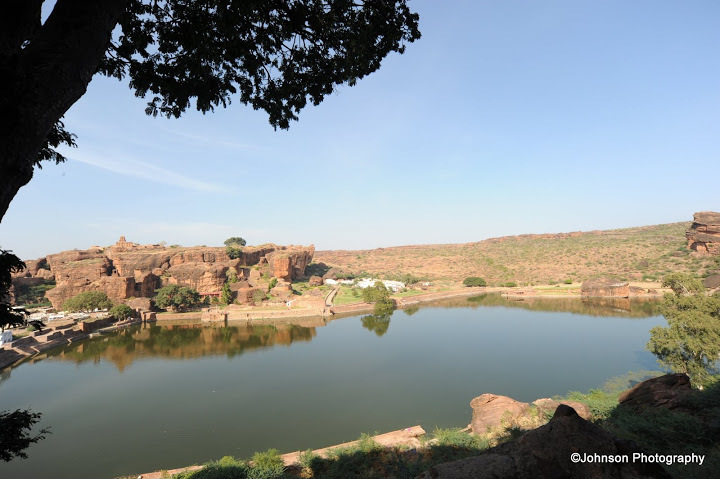 Badami’s train station is 5 km from town. 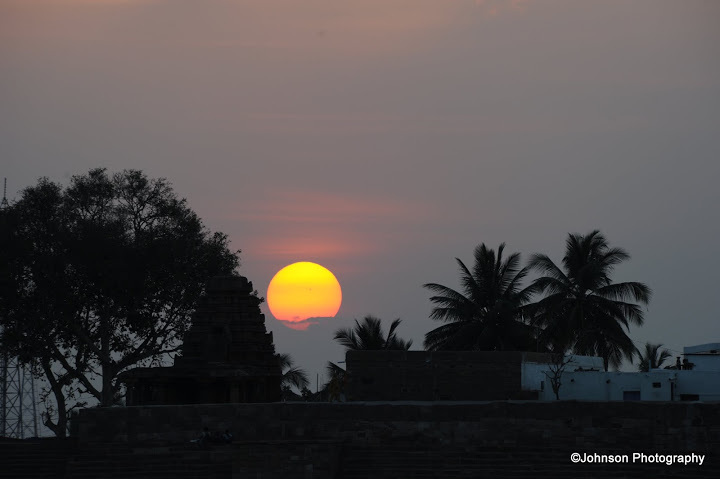 For exploring the nearby areas there are Auto rikshaws available.